Jan 24 - for Zymoetz (Copper) River. Jan 24 - for Skeena River. Jan 24 - for Kalum River. Jan 24 - for Kitimat River. Jan 24 - for Ocean fishing in Kitimat Douglas Channel. 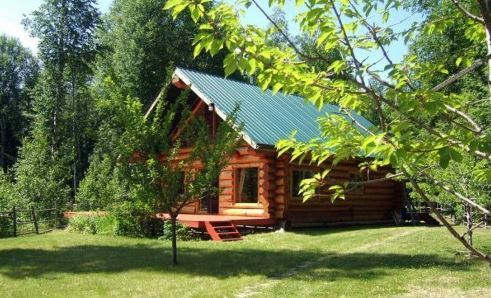 Jan 24 - FOR SALE 22 acres house, cabin, property and more with Skeena River Frontage; opposite the Copper river junction in the non classified section meaning foreigners can fish every day unguided, see Market Place section. Jan 24 - Tracey John Hittel of Kitimat Lodge, invites you to be guided for the SEASON OPENER on April 1, 2019, see Skeena River section. Jan 24 - Rob Brown latest article titled "Passenger train blues" see Rob Brown - Skeena Angler section. Jan 24 - Tracey John Hittel of Kitimat Lodge, sent a FISHING REPORT and a look forward to the spring guiding season, see Kitimat River section. Jan 24 - Tracey John Hittel of Kitimat Lodge, sent a FISHING REPORT inviting all to watch a video produced by FISHING BC which shows all the fishing opportunities in northwest BC including Douglas Channel and all the many, many river, see Kitimat Lodge Videos section. Jan 27 - Noel Gyger posted an explanation how website statistics work, see News Bulletin section. Jan 30 - Watershed WATCH Reports for Jan 30, see Conservation section. Jan 31 - ALL of Tracey John Hittel FISHING REPORTS for January 2019 are now posted, see Past Fishing Reports webpage.